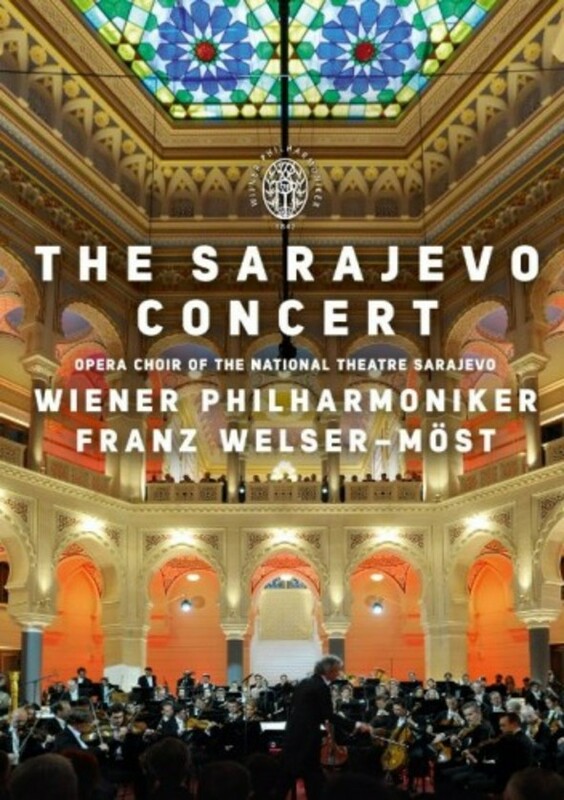 On June 28th, 2014, the Vienna Philharmonic played under Franz Welser-Möst the Concert in Sarajevo, Bosnia and Herzegovina, commemorating the Centenary of the Assassination at Sarajevo on June 28th, 1914. The concert took place in the National Library of Sarajevo, metres from the site where Austro-Hungarian heir Archduke Franz Ferdinand was assassinated exactly 100 years previously. This invitation-only event was transmitted by EUROVISION to TV and radio broadcasters around the world as part of a co-production involving EBU Members BHRT (Bosnia & Herzogovina), ZDF (Germany) and France Télévisions. Performance fees were waived for the concert, which featured a musical program with strong connections to the historical events of 1914-1918, inviting reflection, analysis and remembrance of an era-defining conflict. The concert was relayed free to giant screens outside the Vijećnica to a large public audience.